This is a multipurpose inflatable Big Screen system suitable for both indoor & outdoor viewing. You can watch live TV or movies and it’s compatible with Blu-Ray players. It can be connected to games consoles such as Wii, Playstation and xBox or you can plug in your phone or iPod and play your favourite music with Bluetooth Connectivity. A fantastic way to entertain a crowd of people of any age. It would be great for a kid’s party or sleepover. They could watch a movie or play games on it. 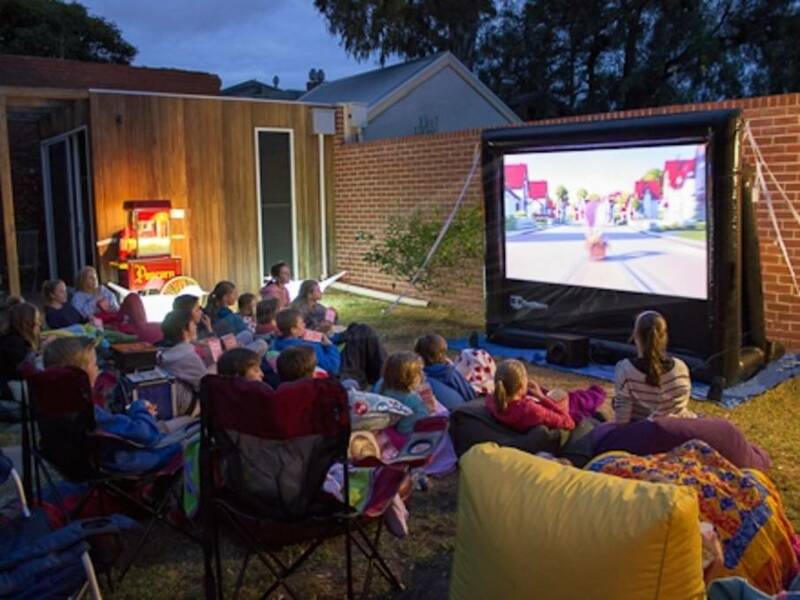 Teenagers can chill with their friends watching a movie under the stars. Perfect for gathering friends together to watch events such as a cricket test, footy grand finals, Melbourne Cup or New Year’s Eve Fire Works. The possibilities are endless. The range starts with the 2.5M HandiTheatre Home System retailing at $899.00. This includes a 2.5m inflatable screen which is easy to set up with the electric blower and once inflated the Hot Seal technology means there is no continual noise from the blower. There is also a tripod stand with adjustable height, a projector and sound system consisting of 2 ground speakers and a subwoofer. A great Christmas present for the whole family! There are also larger 3M and 4M HD packages available with even more scope for bigger events.